In just four years, Xiaomi has become the world's most valuable tech start-up. The start-up, worth more than US$46 billion (S$63 billion), has more than 500 million users, mostly in China, but is also expanding rapidly in India and South-east Asia. To understand the phenomenal rise of this Chinese smartphone maker, you simply have to look at its products. Take the Mi Pad, for instance. Launched here recently, this Android tablet was sold out on Xiaomi Singapore's website within minutes. At $299, the tablet, with a high-resolution IPS display (2,048 x 1,536 pixels equivalent to the Apple iPad mini's Retina display) and a powerful quad-core chip from Nvidia (the same chip powering the Google Nexus 9), is a steal. It lacks the metallic build of premium tablets, but its plastic body is solid, with little flex. It is not perfect: The tablet's glossy back is slippery and is a fingerprint magnet. The screen could be a tad brighter. Critics will inevitably mention how much the Mi Pad and iPad mini look alike. Their screen sizes and screen resolutions are identical. 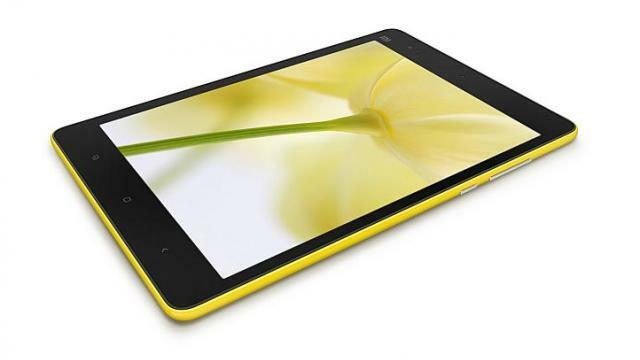 Like Apple's iPhone 5c or the Nokia Lumia phones, the Mi Pad is available in several bright colours. On its packaging, Xiaomi even uses the term "retina display", which was coined by Apple, to describe the Mi Pad's screen. But the most "flattering" similarity is probably in Xiaomi's MIUI interface, which runs on top of Android 4.4 on the Mi Pad. Those who have used Apple's iOS 7 will find MIUI (version 6) vaguely familiar. The Mi Pad's quick settings feel very much like the Control Center on iOS, and MIUI's Settings page, like the iOS's, is also bright and colourful. There are too many similarities to list here. And doing so would be missing the point. Inspired by iOS it may be, but under the skin, MIUI has many unique features. For instance, pinching with two fingers brings up a menu to change the wallpaper or add widgets. It also lets you move app icons to a different page more conveniently than stock Android operating systems. The tips and tricks to using MIUI probably deserve their own guide. Despite all these extras, MIUI feels cleaner and leaner than Samsung's TouchWiz skin. While it took me a while to adapt to MIUI, I had no issues with its performance on the Mi Pad. It felt fluid and fast. Battery life was outstanding. The tablet chalked up 111/2 hours while playing a video at maximum brightness and volume. Excellent bang for the buck, the Mi Pad’s biggest problem is its limited supply.